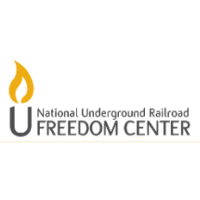 CINCINNATI, OH (August 2, 2018) – The National Underground Railroad Freedom Center has announced the winners of the fourth annual 2018 Toyota Picture Freedom Art Contest and will hold a ceremony to honor the participants on Saturday, August 11 from 1 p.m. – 3:00 p.m. The Picture Freedom Art Contest is a nationwide student art competition sponsored by Toyota that challenges students to create works of art capturing America’s struggle for inclusive freedom and equality, drawing connections from the Underground Railroad to the Civil Rights Movement to the modern day fight against slavery. "It is an honor to recognize the winners of this contest and see how the next generation perceives equality and inclusiveness in art,” says Christopher Miller, Director of Education for the National Underground Railroad Freedom Center. "It is through their work that we are inspired to continue in the ongoing fight for freedom for everyone." The 2018 Toyota Picture Freedom Art Contest awards ceremony recognizing the Picture Freedom finalists is this Saturday, August 11, 2018 at the National Underground Railroad Freedom Center. The 2018 Picture Freedom Art Contest is sponsored by Toyota. This event is included with general admission and open to the public. Visit freedomcenter.org for more information.